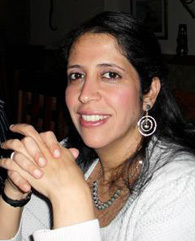 Manal M. Yunis is an assistant professor of information technology management. She holds a PhD in Business Administration with a concentration in Computer Information Systems from the University of Texas-Pan American, an MBA and a BS in MIS from LAU Adnan Kassar School of Business. She is a member of the Association of Information Systems (AIS), Decision Sciences Institute and AIS Special Interest Groups. She has several peer-refereed journal and conference publications, and is the recipient of many best paper awards from conferences and publishing groups. In teaching, she believes that student engagement should be used as a strategic process to help forward creative thinking and effective learning. She also believes that her research should revolve around two focal points: (1) to enhance corporate (or institutional) excellence through optimal implementation and use of information systems; and (2) to enhance the information systems curriculum and academic excellence through the integration of what could be inferred from research into classroom discussion and curriculum development. She is currently working on three research projects related to cyber security, cloud computing and e-government. These involve intellectual collaborations with professors from the University of Texas-Pan American (Texas, USA) and from Caritas Institute of Higher Education, Hong Kong. Yunis, M. (in press). Security and Privacy Concerns in Cloud Computing Usage: An Empirical Investigation of User Perspectives. Information and Management. Yunis, M., Hughes, J. & Roge, J. (in press).Time-Critical Effects of Virtualized Environments on Information Security: The Need for Dynamic Security. Journal of Information Systems Security. Yunis, M., Koong, K. & Sun, J. (in press). Determinants of Global E-Government Readiness and E-Participation. Journal of Computer Information Systems. Yunis, M. Jung, J., & Chen, S. (2013). TQM, Strategy Choice, and Performance: A Firm-Level Empirical Investigation. International. Journal of Quality and Reliability Management, 30(6), 690-714 [Recipient of the 2014 Emerald Group Publishing Award for Excellence]. Yunis, M., Koong, K., Liu, L., Kwan, R., & Tsang, P. (2012). ICT Maturity as a Driver to Global Competitiveness: A Cross-Country Level Analysis. International Journal of Accounting and Information Management, 20(3), 255-281. Yunis, M., (2010). A ‘cloud-free’ security model for cloud computing. International Journal of Services and Standards, 5 (4), 354-375. Yunis, M. & Koong, K. (2009). Development and assessment of ICT Maturity and Global Competitiveness Using a Two-Wheel Causality Model. International Journal of Services and Standards, 5(2), 135-159. Yunis, M., Hughes, J., & Roge, J. (2008). Real Security in Virtual Systems: A Proposed Model for a Comprehensive Approach to Securing Virtualized Environments. Issues in information systems, IX(2), 385-395.